Hello and welcome to my little space on the big wide web. I am The Frugal Work at Home Mom, also known as Traci or mommy. My husband and I live in Indiana (recently from Oregon) with our three children (one of which is my bonus kid but I love her like she is my own). My goal in life was to have children and to raise them myself. I know that isn’t for everyone but it is what I wanted. However, we need more than one income to get ahead. When I was a few months pregnant with my son, I got a decent job. I didn’t tell them right away I was pregnant as I was trying to figure out how I could juggle a job and a newborn. My plan was to work when my husband was off, if possible. Then my job offered me a work at home position. I had it all figured out and was so excited. Two weeks before he was born, the company announced that they were doing away with the work at home positions and everyone had to come back to the office. I was heartbroken. I went on maternity leave and spoke with my boss about working around my husband’s schedule once I was ready to go back. My boss and I worked out my new schedule and I was once again relieved to have it figured out. However, when I called him to let him know I was ready to come back, he told me that those hours were not available anymore. So I was faced with putting my son in daycare or staying home with him. We were getting by on one income, just barely, and definitely not ahead. This lead me to start looking into working at home. The hard thing about looking for work at home jobs is that it is hard to tell what is a scam and what is legitimate. In the past four years, I have developed quite an eye for legitimate versus scam jobs. On social media I found myself answering posts of mostly desperate moms looking for work at home. I would give them as much information as I could to help them find something that could actually make them money. My brain was starting to overflow and I struggled to organize the information in my brain onto the computer. That is where the idea for a blog came into place. I wanted somewhere I could write out and organize the work at home jobs and money-making opportunities that were in my head while being able to easily share them with more people. The money making opportunities that you will find on my blog is either tried and true by yours truly or from very reputable sources that I trust. Before I had my kids, I was a couponer. I was just shy of an extreme couponer from the tv show. I do still coupon but not to that extent (not enough time). However, I do try to save money wherever I can. I love to get free stuff and find good bargains. I research everything before buying to get the best bang for my buck. So I will showcase my good frugal finds and ideas on my blog as well. And to conclude the last piece of my blog, since I invest time researching things before I buy anything, which includes reading and watching reviews, I decided to help out others researching items as well and review them on the blog. Thanks for visiting. Please feel free to look around, send me an email, sign up for my mailing list and join me on social media. 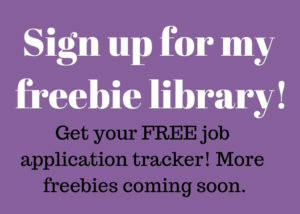 Hopefully, I can help you find your work at home job, make some side money and save money too.